Michael Lawrence earned a M.Div. degree at Gordon-Conwell a PhD from Cambridge University. He served as Associate Pastor at Capitol Hill Baptist Church in Washington DC and currently serves as Senior Pastor at Hinson Baptist Church in Portland, OR. This is Lawrence’s third book. With biblical theology we posses what we need for effective ministry in the churches and in our lives. Outside of biblical theology we have a Bible full of moral tales and irrelevant history. Scripture is sufficient. Too many of our modern churches teach that the Old Testament is simply moral examples and the New Testament tells us how to get right with God. The Bible, however, is not a “how to” book or a book where we seek “the answers.” Instead it is an outline of how God, throughout history and in the future, will bring great glory to himself. It explains our purpose helps and us understand the gift we have been given. Theology places us in the center of the biblical narrative. The author explains that our theology determines the shape and character of our ministry. Theology is how we move from the text of Scripture to how we should live our lives today. Exegesis is the disciplined attempt to pull from a text the author’s original intent, rather than our own personal preferences, experiences or opinions. This is an easy to understand book on Biblical and Systematic Theology and how they apply to our churches and the average believer. The author helps us to understand that theology transforms the Bible from a group of unrelated Sunday school tales into an intricately woven series of related narratives that communicate God’s truth. The author helps the reader to apply God’s reality to our modern preaching and teaching. 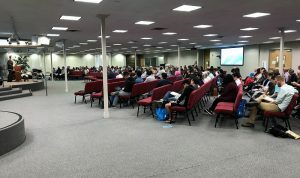 As modern American culture, and even contemporary evangelical culture, has essentially deserted its Christian roots, it has become oblivious to the historic presentation of the gospel. Lawrence points out the pestilence that has become the modern, watered-down, feel-good, theology of the Western church. 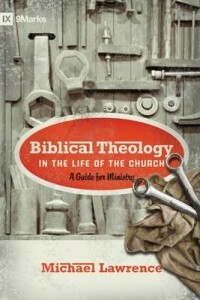 The author helps us see that theology has an important place in the life of every disciple of Christ.